Opinions vary on how smart dogs are, and how many words they understand. But, when it comes to bath time, Fido suddenly develops an acute understanding of the English language and wants no part of it. A great many dogs loathe and fear the very idea of taking a bath – even those that take a great deal of pleasure from swimming in rivers and lakes. The trouble with this is that many canines will get filthy while out on a walk. If a dog does not want to take a bath, a dog should not roll around in wild animal poo. This guide will discuss why your dog is so averse to taking a bath, and what you can do about this. Washing your pooch is a necessary evil, no matter how they may feel about it, so you are going to need a great deal of patience and understanding. 1 Why Do Dogs Hate Baths So Much? 2.3 How Long Does it Take a Dog to Dry After a Bath? 2.4 Can I Let My Dog Air Dry? 2.5 Can You Dry Your Dog With a Hairdryer? 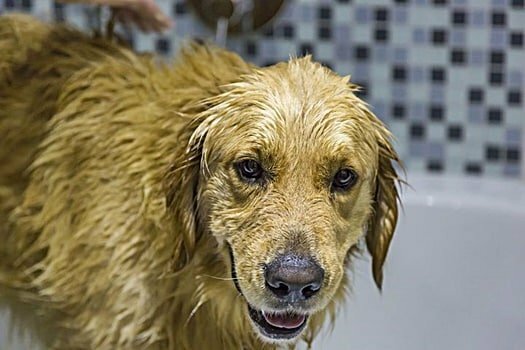 3 How Often Should a Dog Be Bathed? 3.1 My Dog Licks Itself Constantly – Do They Even Need a Bath? 3.2 Can I Bathe My Puppy? 3.3 Can I Use Human Shampoo on My Adult Dog? Why Do Dogs Hate Baths So Much? You may find it strange that your pet is so desperate to avoid a bath, especially if they do not tend to fear water in their everyday life. Your dog doesn’t like the smell of the shampoo or soap that you are using. Your dog has carefully cultivated their current scent by rolling around in who-knows-what, and they don’t want to lose it. The shower is noisy. Dogs have excellent hearing, so try not to hold the roaring shower head too close to them, and mute the sound by letting the water hit your hand first. Dogs don’t like the sound of vacuum cleaners either. The water is too hot, or too cold. Lukewarm water may seem horrible to us to bathe or shower in, but it’s the sweet spot for canines. Dogs do not like feeling trapped or not in control. When they’re in the tub, they may start to feel claustrophobic. Your dog had a bad experience in the bath early in their lives, such as slipping over and hurting themselves. You may find that some dogs are reluctant to go and down the stairs for the same reason. Many canines do not enjoy having water sprayed directly in their face. These are just some of the reasons why your dog hates the bath so much. Until your pet comes clean and admits that they can speak fluent English after all and has just been messing with you all along, we can only work on best guesses and intelligent estimates. Thankfully, this can still be helpful – there are many steps that we can take to make bath time a less stressful experience for all concerned. If you have a stubborn hound on your hands that refuses to enter the tub, don’t pick them up and force them in. That will only exacerbate their fear and loathing of bath time, and make it even trickier for you to wash them again in the future. Filling the tub with your dog’s favorite toys. Smearing some peanut butter (or something else tasty, lickable and easily cleanable) on the side of the tub’s interior. Placing a rubber grip at the base of the tub, so it feels less slippery for your dog. Tiring your dog out beforehand with a long walk and playtime, so they are less likely to fight you. Gently guiding your dog toward the tub, using their lead if necessary. Staying calm at all times. Never raise your voice or show palpable anger at your dog’s reluctance to bathe. If all else fails, you’ll have to scoop your dog up and drop them into the tub – but that should be avoided as much as possible. You are trying to lessen your pet’s fear of the bath time, not aggravate it. If your dog is particularly tricky and stubborn, follow some of these tips on how to give a dog a bath that is scared of water to minimize the struggle when the moment arises. Prep your area. Get towels, shampoos, sponges, non-slip mats and everything else you may need in place before you start. Run a little warm water at the bottom of the tub. If you drop your pooch into the tub with some existing water, they may find it less stressful. Close off any escape routes. Your dog is likely to attempt a daring escape at the first opportunity. Make sure that you have closed the bathroom door, and if possible, use your dog’s leash to tie them up while you apply the water. Relax your dog. You could use some Rescue Remedy, play some classical music, burn some relaxing herbs or scented candles to calm down your pet when they become agitated. Muffle the sound of the shower Whether that’s using a specialist canine showerhead or allowing the water to hit your hand before it touches a dog’s fur, try to quieten down the water flow as that may be frightening your dog. Avoid splashing water in your dog’s face. One thing that will set a nervous canine bather off is splashing water in their face. Always wash the head last. Work methodically, and offer plenty of reassurance. 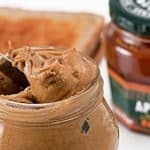 Use treats to keep your dog in place if necessary! There’s nothing wrong with a little bribery if it helps you get the job done. With these steps, you should be able to calm your dog down sufficiently to the point that they will allow you to bathe them again. They may not ever love the experience, but if you can get them to tolerate it, that’s half the battle. Even the most stubborn dog can learn to tolerate a bath, provided they do not lash out physically and attempt to harm you as a result. Handling an aggressive dog will require a slightly different approach and one that may require some protective steps. Wear gloves. For your protection, don some gloves just in case your dog attempts to bite you. This will reduce the risk of their teeth breaking the skin and causing infection. Check our guide on how to clean a dog bite on a human if the worst happens. Apply a muzzle. It’s not ideal, but if your dog is prone to biting it may be safer to pop a muzzle on them during the bath. Add a little peanut butter to the muzzle for them to lick if you’d like to make the experience less unpleasant. Be ready to walk away. If an aggressive dog hates the experience, it may be safer for all parties to give up and walk away. If you have an aggressive dog that won’t let you bathe them, it may be time to summon the help of a professional groomer. Naturally, however, it’s only fair to explain the situation to the groomer in question before they accept the assignment and allow them to decide if they’d like to proceed. 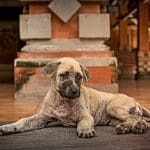 If you are adamant that it will not be possible to bathe your dog in the traditional sense, you could attempt a handful of alternatives. Daily once-overs with wet wipes – the ideal way of staying clean without running water. Applying a dry shampoo – spray dry shampoo on your dog and you’ll be able to fend off the worst of any smells. Brushing their fur – if you keep grooming your dog’s fur with brushes and combs you’ll be able to keep their coat in good shape. If you’re not averse to the smell that all dogs start to produce sooner or later through their natural oils, you can put off the need for bathing them in water for up to six months. It’s advisable to get your dog used to water though – if they enjoy swimming but refuse to take a bath, that could be an excellent Plan B to a traditional grooming routine. Washing your dog is only half the battle – you also need to get them dry afterward. A dog that manages to escape the tub will usually make a bolt for the door, so wrap them in a towel and close the bathroom door unless you want a trail of soggy paw prints all over the house. It’s up to you whether you rely purely on a towel and air drying or the use of a gizmo such as a hairdryer, and it is advisable to try many different techniques and find what works best for your particular pet. Overall, you should use a towel, to begin with, if only to warm your pet us following their bath. Find the softest, fluffiest one possible, and avoid wrapping your dog too tightly as you vigorously rub them. Dogs hate feeling trapped or cocooned, so allow as much freedom as you realistically can without sacrificing results. A dog will always shake once they are wet – doing so can remove up to 70% of water from their body in just a few seconds. Prepare yourself for this when bathing your dog by wearing old clothing that you don’t mind getting soaked, and always wash your dog’s face last. You may find that your pet is largely indifferent to having soap lathered over their body, but the moment you start splashing water in their face they’ll look to shake up a storm. How Long Does it Take a Dog to Dry After a Bath? How long is your dog’s fur coat? How are you drying them? Is the temperature cool or warm? All of these factors will impact upon how long it takes your dog to dry after their bath, and there is no one-size-fits-all answer. Can I Let My Dog Air Dry? You can, once you have applied a vigorous towel dry. Many dogs prefer to air dry – though they may insist on rolling all over your furniture and generally having a mad five minutes after their bath, leaving damp marks everywhere as they do so. If the weather is sunny outside, take your dog for a walk once they are out of the bath. Not only will this speed up the process of them air drying, but it will also create a positive association with their bath and potentially make them less reluctant to repeat the process. Just be careful and prevent Fido from rolling around in mud or poop the moment they are out of the house. Can You Dry Your Dog With a Hairdryer? This depends on how your dog reacts to the use of such a tool. Some canines love the sensation of having a hairdryer run over them, presumably considering it akin to visiting a spa, but others are frightened by the loud noises and intense heat the gadgets produce. Allow your dog to get used to the idea of the hairdryer. Turn it on without applying heat to them, so they understand where the noise is coming from, and gradually start applying the heat to their coat. Keep the hair dryer a safe distance away from your dog, and use a low heat. You could end up burning their fur or skin otherwise. If your dog displays any signs of discomfort, stop using the hairdryer at once. If you are going to use a hairdryer with regularity, it may be in your best interests to invest in a product designed for dogs rather than humans. These are the gadgets that a professional groomer would use, and rather than creating a potentially dangerous or uncomfortable level of heat, they blow high-intensity air. This won’t leave your dog bone dry, but it will set them on their way to drying naturally. PetHelpful have some advice on particular products and models that may help you decide which one to pick up. How Often Should a Dog Be Bathed? Opinions vary on this, and a lot depends on your pet’s circumstances. If your dog has a condition or allergy that tends to leave their skin dry, they’ll need washing more often. Naturally, if they have been out for a walk and are coated in mud, they’ll need a wash straight away. 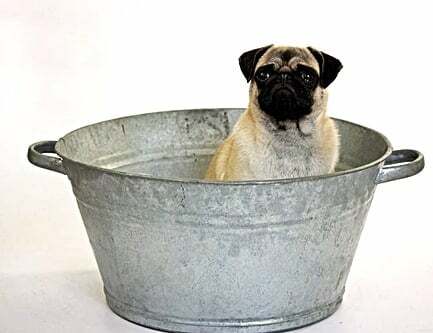 If you can smell your dog from ten paces – especially their paws – then get them in the tub to prevent any possible infection from taking hold. TV personality Cesar Millan claims that the average pooch will only need to be washed with shampoo once per month, and that appears to be a belief that is backed up by other experts. Excessive washing with chemicals can damage the natural pH of your dog’s skin, so if you don’t detect any particular need to wash your pet more often then resist the urge. Other ways of keeping a dog clean do not involve the shower, as we will discuss in more detail later. 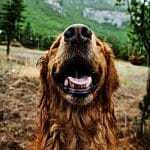 My Dog Licks Itself Constantly – Do They Even Need a Bath? It’s true that dogs are inherently clean animals despite their urges to roll around in mud and filth. This means that they’ll self-clean by regularly licking their fur and that of their pack – which includes you! If you have ever wondered why your dog insists on licking your hair or body for hours, now you have your answer. However, a dog self-cleaning is not sufficient to keep them fresh as a daisy at all times. Bathing your pet means that you will be able to wash the parts of their body that they cannot reach, keep an eye out for any fleas or other unwelcome parasites, improve their smell, and soften their fur and skin. What’s more, when a dog is soaking wet after a dog it’s a great opportunity to give them a general once over for any concerning lumps and bumps. Can I Bathe My Puppy? 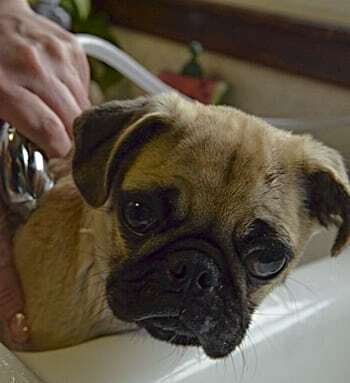 You can, and you should – if you establish a routine that bath time is fun when your pet is a mere pup, you may have fewer problems when they grow up to become an adult dog. Puppies are inquisitive little critters too, so you may find them getting dirty more often than not as they investigate new surroundings. According to The Happy Puppy Site, the optimum schedule for bathing a puppy is weekly until they reach twelve weeks of age, and then monthly until they reach six months of age. After this, you can adopt whatever schedule you consider to be the best. Just be aware that puppy skin is very sensitive in their early days, however, so try to avoid using shampoo until they are at least six months old – and never, ever use a human product as that will be painful and put your puppy off bathing for life! Can I Use Human Shampoo on My Adult Dog? You should always avoid doing so, as canines tend to have considerably more sensitive skin than humans. As we have established, a human shampoo will be very painful for a puppy, and many dogs will struggle with the same ailment as they reach adulthood. The reason for this is simple. The shampoos and shower gels that we purchase from the supermarket or drugstore are designed to appeal to human senses, which means they are potentially loaded with perfumes and artificial colorants. Dog skin is not equipped to deal with this, and they could experience all kinds of reactions. If you must use a human product on your dog reach for as natural a shampoo or soap as possible, ideally from the baby range of a pharmacy, as these will not contain as many potential irritants. However, it’s always best to make a trip to your local pet store and invest in a canine-specialist product. If you come to the conclusion that life is too short and you are not capable of washing your dog yourself, find a groomer in your local area. There will be no shortage of professionals that will take care of your dog’s bathing needs, whether that’s by visiting your home and using your bathroom or working from another site. Sure, this is a costlier way of keeping Fido clean, but it may better for everybody in the long term. If you are worried about the impact that insisting on bathing your pooch is having on your bond, then let somebody else face the burden. This isn’t typically something to worry about, though. Dogs have short memories when it comes to being fed up with their humans, and they’ll be licking your face again in no time at all! Having said this, it’s advisable to wash your dog yourself wherever possible. As much as anything, the more times you complete the activity, the less likely your dog is to kick up a fuss when the moment arises. Unless you are extremely lucky and have a pet with a comparatively unique personality and temperament, you will probably struggle to convince your dog to bathe much of the time. 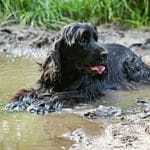 If this is the case, don’t give up and allow your pooch to wallow in his or her own filth. Bath time is essential, if not enjoyable. Follow the steps that we have laid out in this guide, however, and you may find that your dog slowly and steadily allows you to bathe them more often. Eventually, you should find that the whole experience becomes less stressful for both pet and parent – but if all else fails, there is always a professional groomer. What Can I Give My Dog for Gas and Bloating?